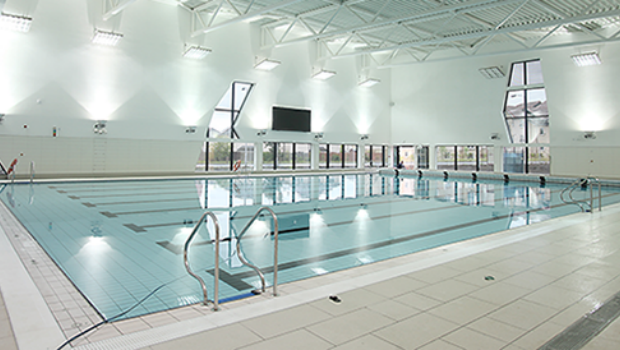 The Michael Woods Sports & Leisure Centre in Glenrothes is nearing it’s opening day. The new sports complex contains a 25m swimming pool, a 20m training pool, gym, multiple 5-a side football pitches, a tennis court, two squash courts, an aerobics studio and a large sports hall as well as an athletics track. The centre was named after the late Cllr Michael Woods who was a major opponent to the land being sold off for housing and the sports facilities being transferred to Kirkcaldy instead. The complex will be open from the end of this month and Ed Watson, Chief Executive of Fife Sport and Leisure Trust believes the people of Glenrothes and the surrounding area will be “very impressed” with the facilities.